If you are over 25, you’ve probably had a Nokia in the past. Most people remember them as amazing hardware. They were sturdy, and performed well. Amazing quality like most things from Finland. Then the evolution of the smart phone came and with the iPhone it became popular. Nokia continued to grow though, as they had their own Linux based operating system, with a strong support base, and a good app store. Even though I’m not a Nokia user, I will always remember them as a company that made amazing hardware, and a company who once made amazing software. Some of my best phones were Nokia before I switched to the iPhone. Then came their first blow. They signed a deal with Microsoft to exclusively make Windows phones, abandoning their highly used OS. Not surprisingly, their sales fell and they had to begin layoffs. It wasn’t the hardware. No, the hardware was still amazing quality. No, it was with each failing version of Windows for phones that the public lost trust in them. Since singing with Microsoft, they have continued a downward spiral, even though they have been releasing good phone – with one exception – they ran Windows. Many times these had glaring flaws in the OS, which Microsoft refused to release upgrades for. Sadly, they’ve just put that last nail into the coffin, sending their company to the graveyard. Yes, I’m talking about the Microsoft buyout. 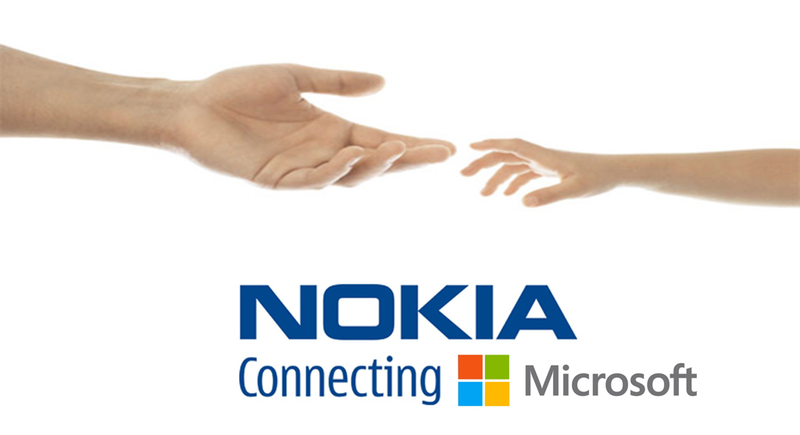 Microsoft just announced that they will be buying out Nokia. Chances are, they will lose the name as well. What’s in store for this once great brand? I give it two years. Look at what happened to Motorola when Google bought them. Companies have had a worse survival rate when Microsoft buys them. I think Microsoft had to buy them, because Nokia is the only thing that has kept the Windows mobile OS from being a complete failure.